Real estate investing is big business in Nigeria. I know because I am both a real estate investor and a real estate consultant. Unfortunately, many people have misconceptions about real estate investing. For example, some postpone investing in real estate because they believe that it is slow yielding investment. So, they decide to invest in, say, a business first with the hope that someday they will get back to real estate investing when the business is firmly established. Some others say they want to invest but they don't have enough money. They complain that their salary is too small or that the income from their business is too small to generate enough money to invest in real estate. For those who have the money and who decide to invest in real estate, they end up investing in the wrong property because they base their investment decisions on sentiments and not concrete financial analysis. Most people are not getting the best value from their real estate investment because they make the wrong decisions at the point of investing. Is there a solution? Is there a resource that provides candid and straightforward answers to these real estate investing questions? I am pleased to announce the launch of my new ebook, "Strategic Real Estate Investing - 7 Killer Strategies To Invest Creatively In Lagos Nigeria Real Estate". This ebook is designed to help you make the most of your real estate investment and get high return on your investment. Click HERE to learn more about the ebook. 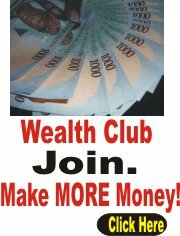 I highly recommend that you build an online business. 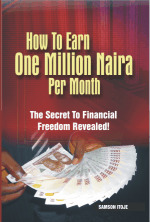 An online business helps you create passive income. You earn while you sleep. Your online business office is open 24/7. Building an online business is a great way to prepare for retirement. It is also a wonderful way to share your hobby or interests with a global community . I will say start right away. And I recommend you use the same software I use. It is simple to use and it has been proven to help ordinary folks as well as web savvy professionals create a profitable web business. The good news is . . . I have created a 7 day ecourse to help you understand how Site Build It! can help you build a successful web business. Click HERE to subscribe. It's FREE. The 7-day ecourse will be delivered to your email box once everyday for 7 days. Learn and take action. Click the link above. The following new articles have been added to the Lagos Nigeria real estate advisor web site in the last couple of days. I am committed to providing new perspectives on real estate to help you invest wisely. Read the articles. Enjoy it. And share your opinion in the Nigeria forum. Do you have a school? Or do you know of a school that is worth recommending? List it in the Nigerian school directory. Click HERE to access the directory. It's FREE. 5. Two bungalows for sale within the same plot of land. Each bungalow has two bedroom flat and miniflat.